The first phase of the “Walking into Mogao Grottoes” activity, a part of the “Shanghai Science Popularization Forum”, was unveiled at the Mogao Grottoes Digital Display Center of the Dunhuang Research Institute on December 8, 2018. 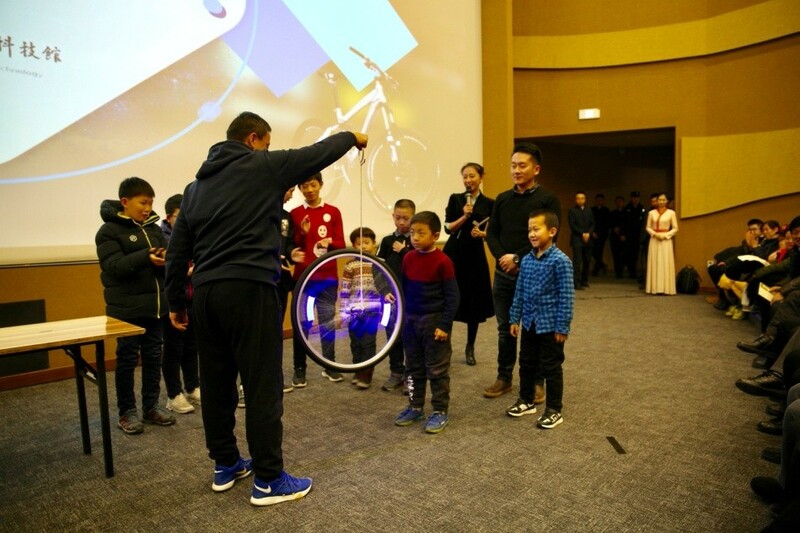 Jointly organized by the SSTM and the Dunhuang Research Institute, the activity was dedicated to interpreting traditional culture with digital technology, presenting the viewers “a surprise” with the fusion of ancient Mogao Grottoes and modern technology. Professor Zhang Shuangnan, famous Chinese astrophysicist, gave a lecture “The Scientific Postures to Enjoy the Beauty of Dunhuang”, showing audience how to appreciate the beauty of Dunhuang culture, Mogao Grottoes and murals through the method of modern science. Besides, science shows and popular science films were also presented by the SSTM to arouse audiences’ curiosity.